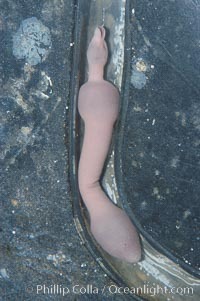 Fat innkeeper worm, seen in a cross section view of its habitat, an underwater hole. Lophophorate Photo. 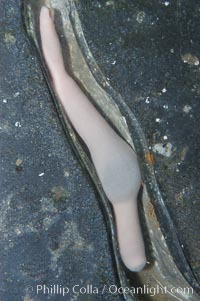 Fat innkeeper worm, seen in a cross section view of its habitat, an underwater hole. Lophophorate Picture.